John Edwards will start the IMSA WeatherTech SportsCar Championship season finale, Motul Petit Le Mans, from the GTLM class pole position. Driving the No. 24 BMW M8 GTE to a 1:17.006 minute lap around the 2.54-mile, 12-turn Road Atlanta circuit, Edwards recorded his second pole of the 2018 season and will lead the 9-car GTLM class to the green flag tomorrow. Edwards will share the No. 24 machine with season-long co-driver Jesse Krohn and Australian Supercars Championship regular Chaz Mostert, who will be driving in his first race for BMW Team RLL. Cooper MacNeil (Hinsdale, Ill.), Gunnar Jeannette (Salt Lake City, Ut.) and Daniel Serra (Brazil) will start the season finale IMSA WeatherTech SportsCar Championship Motul Petit Le Mans from pole on the GTD grid tomorrow. Serra had the wheel of the No. 63 WeatherTech Racing Ferrari for the 15-minute qualifying session around the 2.5-mile, 12-turn Road Atlanta track located an hour north of Atlanta. The Scuderia Corsa team had the car up to fourth in last nights practice session. The Brazilian was able to post a time of 1:19.695 in qualifying which bested the field for the GTD Class pole. Serra get pole in WeatherTech Ferrari. 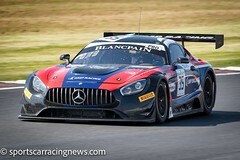 MacNeil is currently fourth in the GTD driver’s points standings. The team is keen to get him to Sunday’s IMSA Night of Champions banquet to take third place honors. It will take 10-hours of competitive driving once the green falls tomorrow morning at 11 a.m. ET. The final event of the IMSA WeatherTech SportsCar Championship season has brought Meyer Shank Racing (MSR) to Road Atlanta for the Motul Petit Le Mans finale event where the team qualified on the second and third rows for the 10 hour endurance classic. Returning with its dual Acura NSX GT3 line up, MSR was ready to attack the race weekend. The No. 93 MSR Acura NSX GT3 had promising practice pace with Lawson Aschenbach, Justin Marks and Mario Farnbacher wheeling the team car. Farnbacher took the wheel for qualifying and was able to maximize the performance of his Continental Tires to bring home a fourth-place starting position, posting a 1:19.877-second lap, just two-tenths off of the pole. With the GTD championship within arm’s reach, just 6-points behind the leading Lamborghini, the No. 86 MSR Acura NSX GT3 of Katherine Legge, Alvaro Parente and Trent Hindman made progress early on in the weekend during Thursday’s practice. The team focused on finding a consistent balance during practice, something that will be integral in the 10 hour race. With Parente set for qualifying duties, finding the optimal window was difficult as he brought home a sixth place starting position, posting a 1:20.095-second lap. In addition to the team’s final weekend of racing this season, Meyer Shank Racing made a groundbreaking team announcement on Friday. The team will enter the 2019 season with the No. 57 MSR Acura NSX GT3 which will be driven by the all-female line up of Jackie Heinricher and Katherine Legge for the full season. The team is also welcoming Ana Beatriz to contest in the four Michelin Endurance Cup events with Simona De Silvestro signed for the season opener at Daytona International Speedway. BRASELTON, Ga. (October 12, 2018) – Oliver Jarvis and Jonathan Bomarito put in Mazda’s strongest qualifying effort of the IMSA WeatherTech SportsCar Championship season on Friday afternoon. In the fifteen-minute qualifying session for Saturday’s Petit Le Mans, Jarvis recorded a lap of 1:10.561 around the 2.54-mile, 12-turn circuit which put the No. 77 Castrol / Williams Scotsman Mazda RT24-P second on the grid for the ten-hour race. Just 0.039-second behind was Bomarito, whose lap in the No.55 Mazda RT24-P was strong enough for third on the grid. Jarvis, who is competing for the first time at Road Atlanta, also led the final practice of the weekend on Friday morning. He will share the No. 77 Castrol / ModSpace Mazda RT24-P with Lucas Di Grassi and Tristan Nunez while Bomarito will share the No. 55 Mazda RT24-P with Marino Franchitti and Spencer Pigot. The Porsche GT Team takes up the last race of the 2018 IMSA Weathertech SportsCar Championship season from the second grid row. In Friday’s qualifying at Braselton, Georgia, Earl Bamber (New Zealand) set the third fastest lap time in the No. 912 Porsche 911 RSR. In the ca. 510 hp sister car with the starting number 911, Patrick Pilet (France) posted the fifth quickest time. The Porsche GT Team sends its two sports cars from Weissach into the ten-hour race on Saturday sporting a design that evokes memories of the Porsche 911 GT1, which scored overall victory at the 1998 Le Mans 24-hour race and pole position at the inaugural Petit Le Mans event. The race takes off on Saturday, 13 October, at 11.05 hrs local time (17.05 hrs CEST). The final round of the 2018 IMSA SportsCar Championship can be viewed live outside the USA and Canada on http://www.imsa.com. Corvette Racing’s Antonio Garcia and Jan Magnussen will start their race toward a second straight IMSA WeatherTech SportsCar Championship title from the front row of their category following qualifying for Saturday’s 10-hour Petit Le Mans at Road Atlanta. A victory Saturday would be the first for the Garcia/Magnussen pairing this season. However, the No. 3 Corvette has finished on the GTLM podium in seven consecutive races and eight of 10 events. 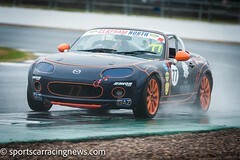 Tommy Milner qualified eight in class with the No. 4 Mobil 1/SiriusXM Chevrolet Corvette C7.R that he will share with Oliver Gavin and Fässler, who is pulling double duty Saturday. Milner, who qualified with a lap of 1:17.451 (118.061 mph), had been fastest in class during Thursday’s night practice and Friday’s final practice session. The closeness of the GTLM class was evident as he was just 0.445 seconds off pole position. Corvette Racing hasn’t missed a Petit Le Mans since the program began in 1999. It has eight class victories – the most of any team in race history – and two additional Road Atlanta wins that came in American Le Mans Series sprint events. Tequila Patrón ESM driver Pipo Derani celebrated his 25th birthday in high fashion Friday at Road Atlanta by winning pole position in the No. 22 Nissan Onroak DPi for Saturday’s 21st Motul Petit Le Mans. Teammate and IMSA WeatherTech SportsCar Championship newcomer Norman Nato qualified the No. 2 Nissan Onroak DPi in fourth. The Whelen Engineering Cadillac team will start the season finale IMSA WeatherTech SportsCar Championship Motul Petit Le Mans at Road Atlanta from ninth on the prototype grid for tomorrow’s 10-hour race. Cadillac has a lot on the line in tomorrow’s Petit Le Mans race. The Whelen Engineering Cadillac team leads the prototype drivers points, Cadillac leads the DPi manufacturer standings, and Cadillac teams lead the Tequila Patron North American Endurance Cup (TPNAEC) points. Following the 15-minute qualifying session this afternoon, the prototype points leading Whelen Engineering Cadillac DPi-V.R in the hands of Felipe Nasr posted a time of 1:10.981 around the 2.5-mile, 12-turn Road Atlanta circuit. The time will have them starting from the fifth row right next to the second place in the championship Core Oreca team. Nasr, Eric Curran and Gabby Chaves are poised for 10-hours of fast driving once the green drops at 11 a.m. tomorrow morning. Filipe Albuquerque had the wheel of the No. 5 Mustang Sampling Cadillac DPi-V.R and put in a lap of 1:10.892 that will have he, Christian Fittipaldi and Tristan Vautier starting from the third row. The No. 10 Konica-Minolta Cadillac DPi-V.R was driven in qualifying by Renger Van Der Zande. The Dutchman put in a time of 1:11.468 that will have him starting the black Cadillac and handing over to Jordan Taylor and Ryan Hunter-Reay from the sixth row. Late Saturday night, the 2018 champion in the IMSA WeatherTech SportsCar Championship will be crowed at the 21st Motul Petit Le Mans. Paul Miller Racing’s No. 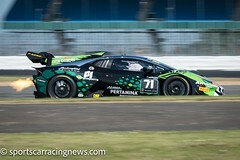 48 Lamborghini Huracán GT3 is leading the class points and will start fifth in tomorrow’s race. Bryan Sellers qualified the car Friday afternoon with a best lap time of 1:20.079. The No. 86 Acura, the team’s main contender in the championship will start behind the Lamborghini in sixth. The final battle for the champion title will take place over the course of ten grueling hours at Road Atlanta in Braselton, Georgia. 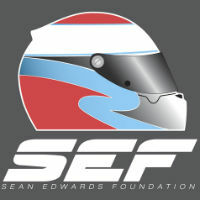 Sellers and co-drivers Madison Snow and Corey Lewis will share the driving duties, aiming to repeat the win they celebrated earlier this season at the legendary Twelve Hours of Sebring. The GTD team has placed within the top five for nine of the ten races this season, showing remarkable consistency. Also proving to be one of the most reliable entries in the field over the course of IMSA’s other three endurance races, the team predicts to again use clean, consistent lap times and pit strategy to stay up front and win the championship. It wasn’t a bad qualifying session, but wasn’t a great qualifying session. We are still 0.3 seconds off pole. We don’t have the speed for those guys, but that was pretty good. I could have done another one or two of those laps, which is the most important. We still have some work to do for race trim, but we’ve been continually getting better. We’ll go back, have a few more conversations and see if we can get one last bit out of it. We’ll go for ten hours tomorrow and see what happens. We had been struggling all week for pace, and were quite a bit off. Our team always seems to come together when we need to in order to give us something to race. We’re definitely better than we have been all weekend. We’re going for the championship. That’s our goal. This is a great place to start the race in. We’ll see where we are at the end of ten hours. It’s been a hell of a year for Paul Miller Racing, and it’s an honor to be a part of the program. The year was off to a great start at Sebring and it’s great to be back with the whole team for the finale race. The guys are in the hunt for the championship and it’s an honor to be with them, and that they trust me to help them get the job done. It’s going to be a long ten hours. We’ve been working really hard throughout the week. We’ll put our heads down and our best foot forward. Hopefully at the end, we’ll be celebrating a championship. Atlanta has a well-earned reputation for heavy traffic, but on Friday that reputation extended to the track as the grid was set for Saturday’s season finale at Road Atlanta.